The temperature has dropped and it is getting cold, which means that Christmas is right around the corner! With all of the cold weather, the kiddos have been stuck inside so why not pull out the glitter and start making some new ornaments for the tree? I love glitter, but the Hubby is totally anti-glitter, so these make both of us happy. I get my glitter fix, and hubby isn’t finding glitter all over the house. 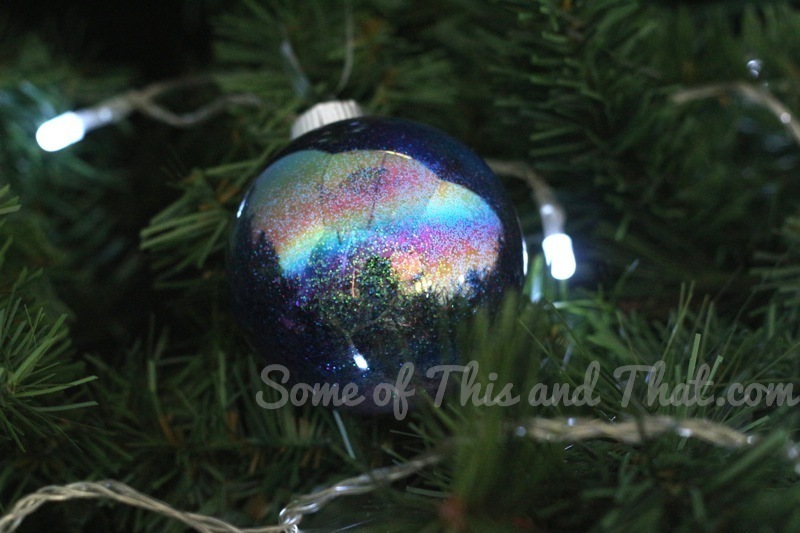 I love the glitter ornaments that I see all over Pinterest right now, but I wanted something more. 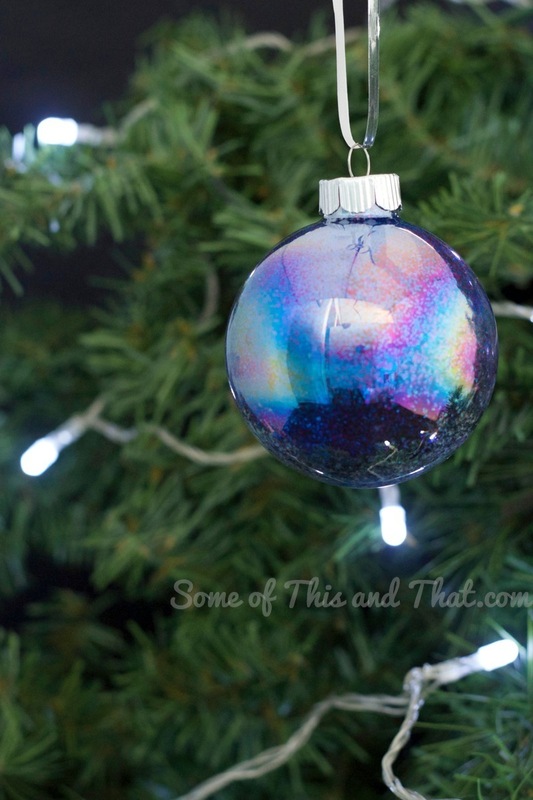 So with a few colors of glitter and some helpful kiddos, we came up with some super cute DIY Glitter Galaxy Christmas Ornaments! As always, if you decide to try out any of our crafts or recipes be sure to post a picture and tag us on Instagram, Facebook and Twitter! We love seeing your projects! If you are not already, be sure to subscribe to our YouTube channel! We do things there that are not always posted on the blog! 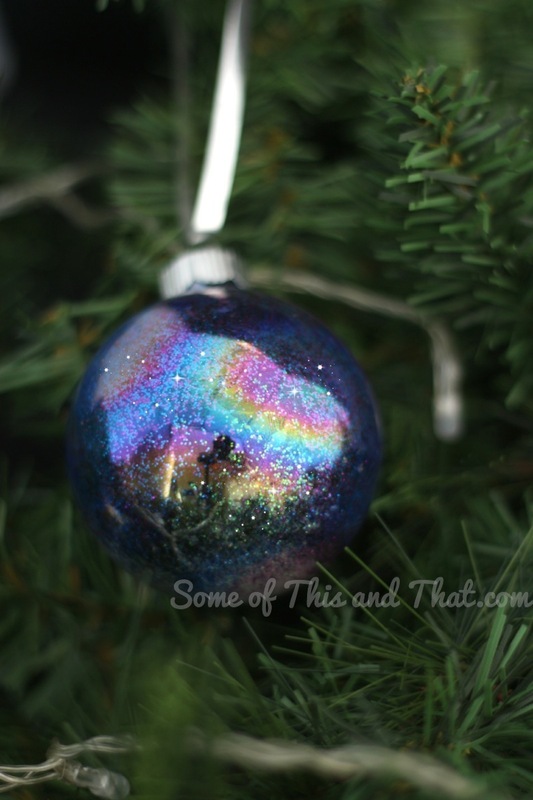 Love galaxy crafts as much as I do? 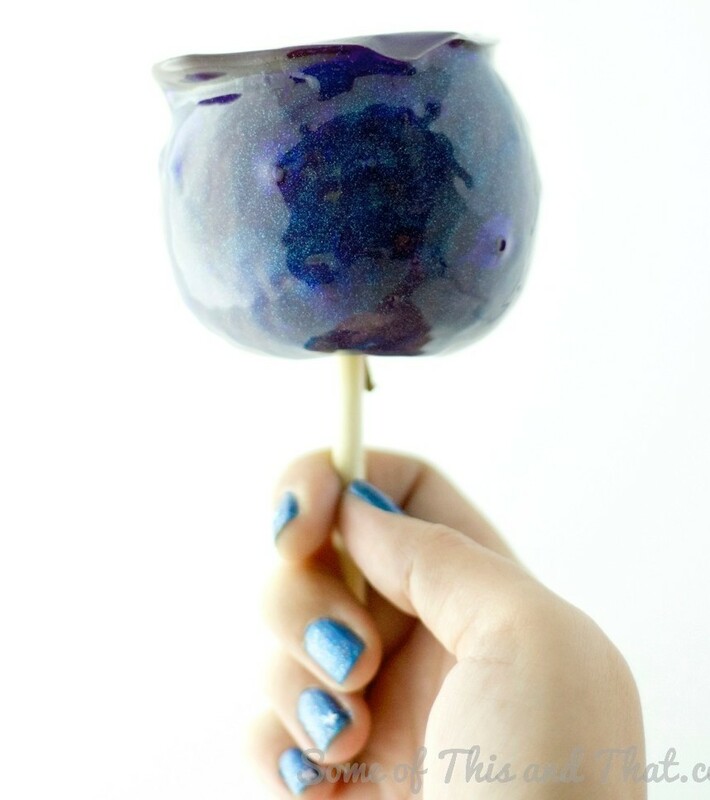 Check out how to make these super yummy DIY Galaxy Candy Apples! Previous Post: « Easy Toy Embedded Soap Gift! DIY Gifts! My daughter is going to love doing this! She has been begging me to make glass ornaments. Generally I do not do glass in my house, but for this, I will make an exception. BEAUTIFUL!